AMW Bulletin: Burt's Bees Radiance Line Available at Sampleroom! Last Thursday, The Queen Bee (Hi May Samson of Burt's Bees Philippines!) and the Sampleroom Working Bees (Nats, Kats, Dianne and Sophie) invited the rest of the bees for a get-together at TWG BHS Central. Yes, we all returned to the "hive" to celebrate something new with the Queen! What's up with the Burt's Bees and Sampleroom partnership? 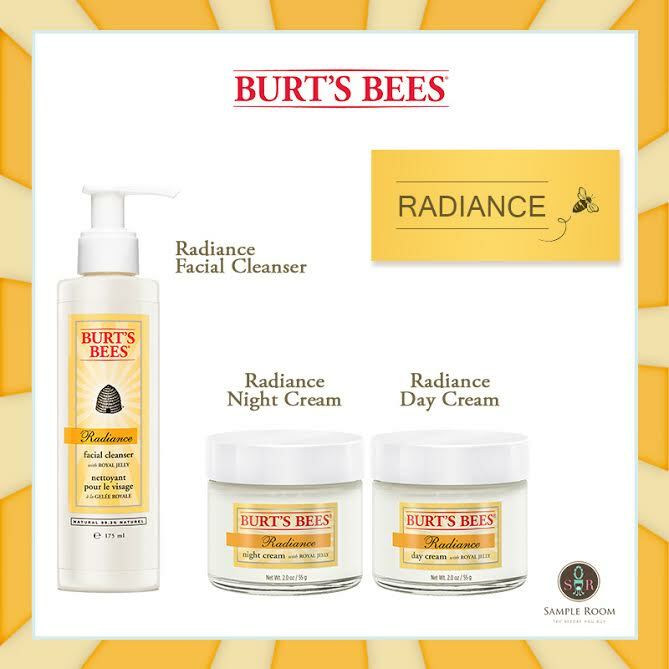 Well, Burt's Bees launched their newest skincare line called Radiance Skincare! Can you feel my excitement? Yes, it is radiance line so it is definitely something I'm looking for! The Daisy White range is really nice but I seriously can't wait to try the Radiance line! I'll probably start with their Cleanser and slowly inject this new product from the line that I'm most excited about! The Radiance Serum! I personally tested this serum out and I was really amazed on how lightweight the serum felt and it gets absorbed into my skin in no time! (15 seconds less) leaving a "radiant glow" at the back of my left hand! The main ingredient Royal Jelly scared me at first as I knew how "heavy and oily" it feels! So great job Burt's Bees for this exciting innovation! And here's another good news, I know how hard it is to purchase a full-sized product (especially skincare) and at the latter part, realize how the product is not for you! So thanks to Burt's Bees x Sampleroom partnership, samples of the Radiance line will be available at www.sampleroom.ph! And if you can't wait to grab your hands on Burt's Bees products but hates the traffic and travel (ahem! ME!) 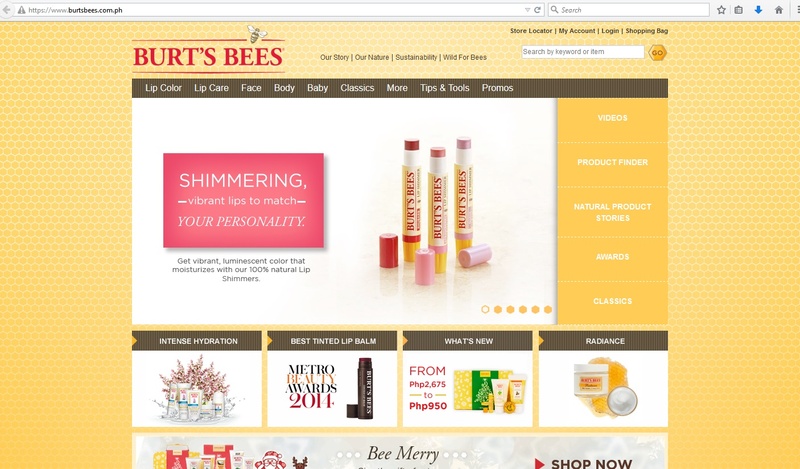 Burt's Bees Philippines launched their online shopping site! (Finally!) www.Burtsbees.com.ph! I actually registered immediately after the launch event! I will definitely purchase Baby Burt's and probably the Radiance Serum that I really want to try! What is your favorite Burt's Bees Product? Are you excited to shop online?